My Rankings Dropped After A Google Update: What Should I Do? Bluntly stated, SEO is about gaming the Google algorithm within best practice rules. Panda, Penguin, Hummingbird, and other updates have significantly improved the internet search experience over time. With each new search algorithm update, the game becomes more 'clean' because all the dirty growth hacks that spam search results are diminished. If you follow Google's rules on creating relevant and unique content, then you will get more traffic. 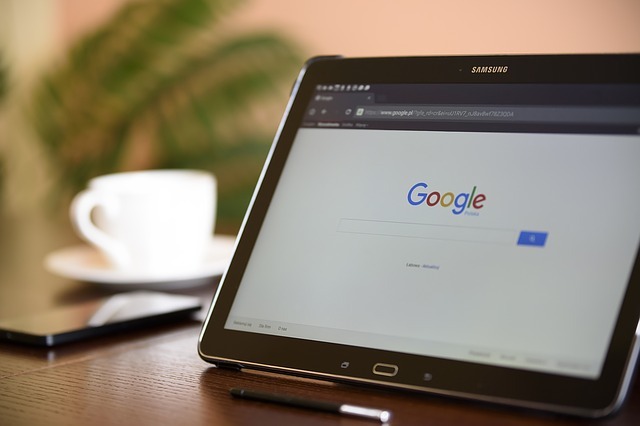 Google has stated that there won't be rank-quakes (like what happened with Panda and Penguin updates) that can completely downturn your website's organic search rankings. Through consistent search algorithm updates, it is safe to assume that Google isn't employing massive search algorithm updates. Google's magicians have steadily improved their search engine product, and have reached a point where their results are extremely accurate. Further, RankBrain changes a couple of things daily instead of overhauling a brand new version of Google overnight. While you won't wake up to your top keyword going from page one to 1000+ overnight, I have personally witnessed some recent updates (like Fred) moving some SERP rankings of websites from page one to page four. Sure, this update is much less devastating than the past but considering the stats on search rankings, like the fact that 75% of people never get past page one results, it is still significantly terrifying. If you get hit by a new Google update, what do you do? Breathe. If you have been following best practices prior to the update then one thing is clear: it's not just you. Everyone with best practices got hit and these changes aren't permanent. You simply have to adjust some aspect of your current practices to get Google's love again. So you notice your keywords have dropped overnight and you are a bit concerned. Well, check the news for Google updates. Moz, SearchEngineLand, and other SEO junkie sites are trusted for a reason. Most likely there are articles out there already with news of the update when you notice rank drops and you can read high-quality and in-depth descriptions on what you need to do to regain your rankings. Once you have identified what needs to get updated to follow the current meta best practices, notify everyone in your organization about this new information. Make sure all new content and pages are published with the best practices. Failure to do so might result in extra work from an SEO perspective. For example, I once made the mistake of identifying an update, but not relaying everything to my co-workers. I assumed everyone else was aware of the update and was quite frustrated that people were not adhering to the new Google practices. For a while, I was not only updating older content but also having to go in and change the newly published articles. Finally, I realized that it was much easier to educate the content creators of the new updates and not have to worry about future articles. SEO team members have to clean up the mess but this process should not be a free-for-all. It needs to be prioritized in a logical manner. If you are ahead of the game and using Topic Clusters, and Pillar Pages for your SEO strategy and content creation then the update implementation process is going to be much smoother. Simply follow your pillar strategy and start with your main topic pillar pages for edits. You have already identified your most valuable topic pages and the cluster posts or pages, which makes the implementation road-map simple and clear. Since a lot of sites don't have this new SEO strategy implemented, you might want to use this opportunity to identify your pillar topics and clusters based on importance to your business during the website updating. Though it isn't an exact science, there is a point where too many updates on a website or over-publishing articles can negatively affect your SEO. Luckily in the long-run, if you update your site with best practices, everything will adjust to the appropriate rankings eventually. Just don't expect it to improve overnight. Further, if you make changes and see your rankings drop further, do not stop or assume that what you are doing is hurting your site. Feel free to check if the best practices that you are using is still correct and simply follow them. The problem with the newer Google updates is that Google usually does not explicitly state what the changes were and why they were changed. Lucky for us, we have amazing companies and SEO master researchers digging in on the update right away. But, just like any advice you read on the Internet, you should be skeptical. I have seen a few cases where the initial best-practice theory for an update is slightly incorrect and re-adjusting my strategy. For this reason, you should spend at least the next month constantly reading about the algorithm to ensure that you have and understand the most accurate information. Simply put, if a Google update occurs, calmly identify the changes and stay updated. Make sure everyone who needs to know the changes are also updated and following the best practices. Begin implementing your website with the SEO best practices by prioritizing content that is more valuable to your firm. Remember, both old and new content must be updated. Don't just publish new articles that follow best practices without going back to the previous content and waste all that mature keyword value. With these steps, you will not only reclaim your previous rankings but have the chance to improve them beyond what they were previously if you are diligent about it. Good luck out there Search Wizards and SEO Yogis!